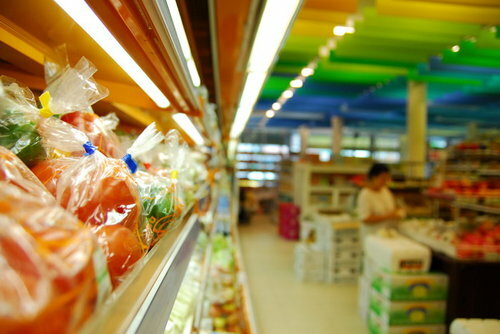 We have just got a set of photographs of 2007 project from our friend. 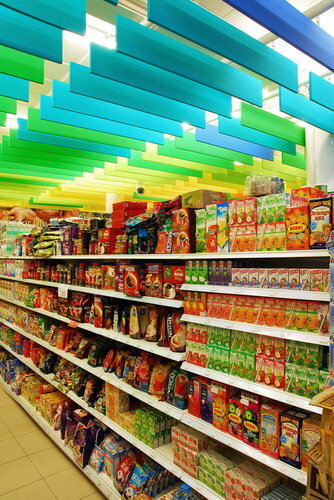 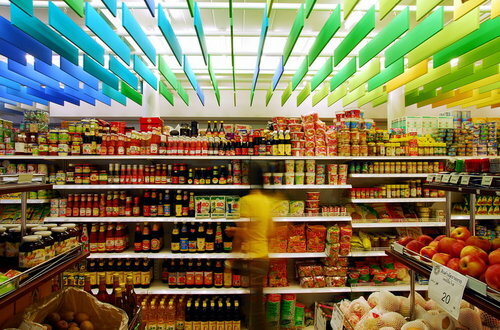 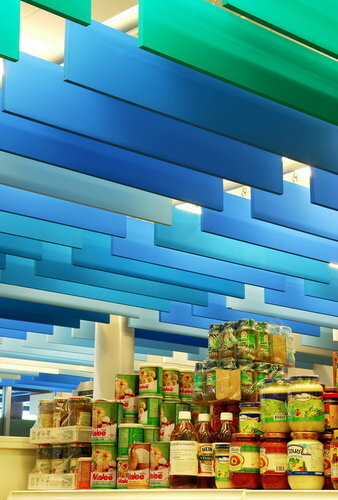 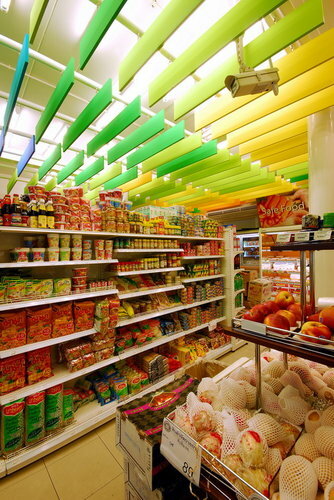 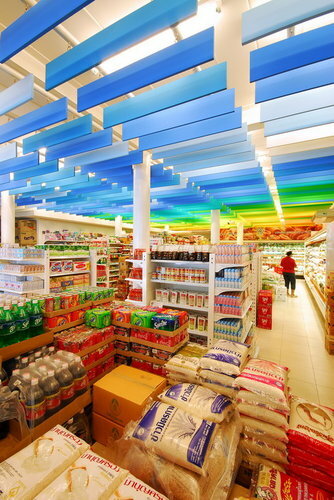 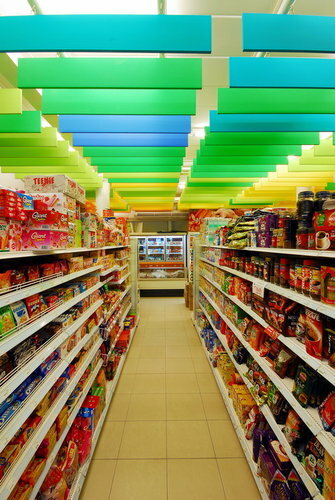 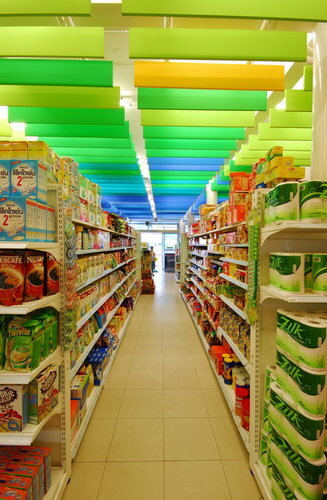 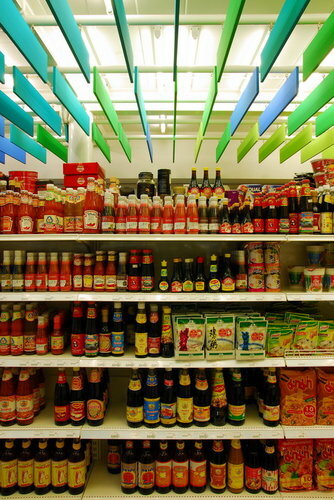 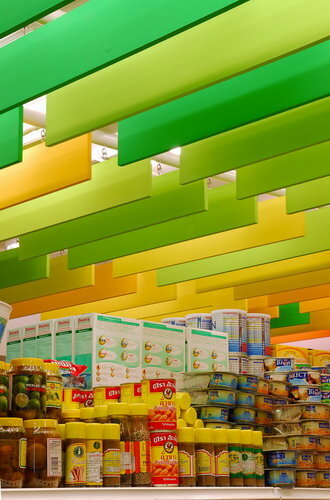 This is the installation on a ceiling of a tiny local supermarket in Bangkok. 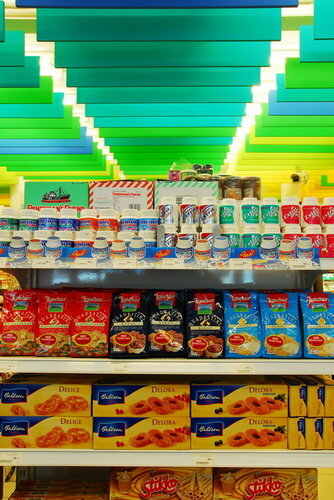 Our intention is to find the new way of identifying different kind of product by not using the signage.